Hit refresh on your weekend wardrobe with this seriously chic top. 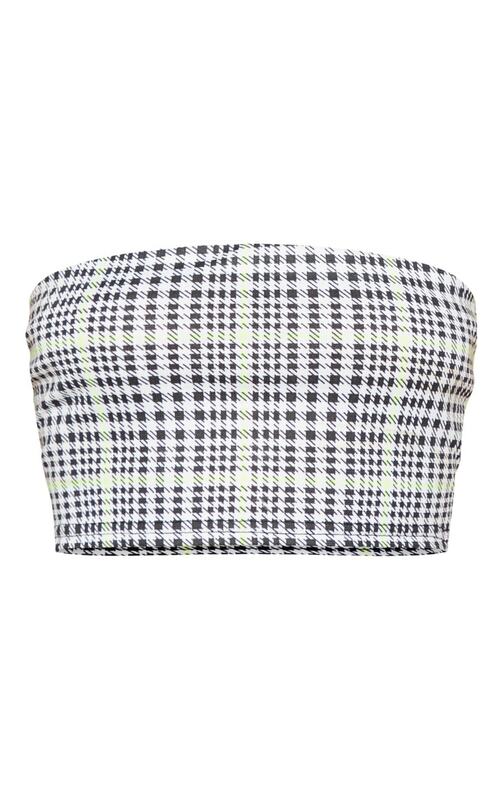 Featuring a black and neon lime check print with a cropped bandeau style, we are obsessed. Style with high waisted jeans and heeled sock boots for a look we're loving.